AdonisJs ships with a command called adonis install <package>, which is same as npm install or yarn add. 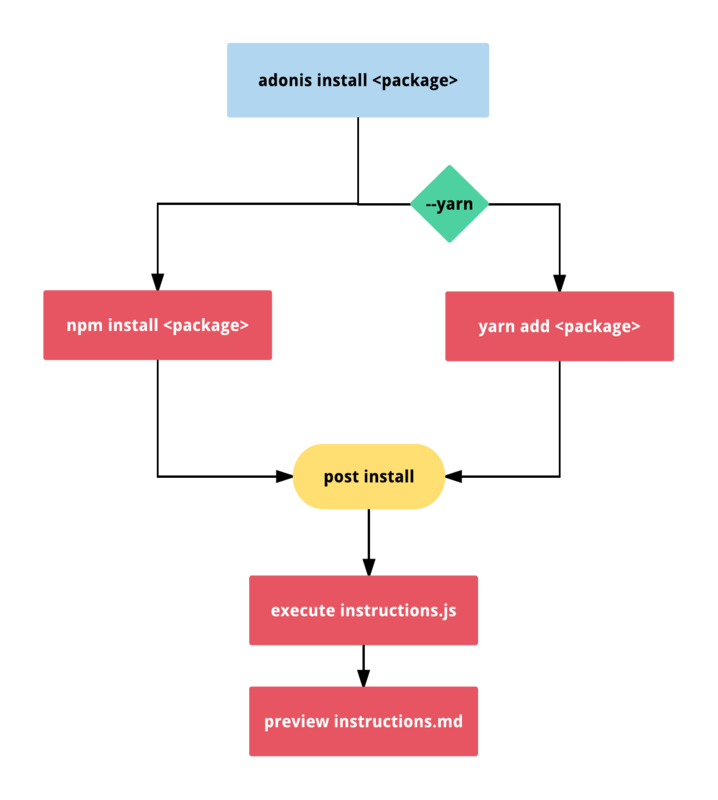 In fact behind the scenes adonis install uses npm or yarn to install the package, but also performs an extra step after the install. Every provider can have two files instructions.js and instructions.md, which are used by adonis to perform post install steps. The .js file exports a function. This function can be used to perform any steps since you can write functional code inside it. Create entities like controllers, models and so on. The .md files are the small set of instructions to be followed by hand from the user of the provider. So it is a nice place to drop some usage and setup instructions written in Github flavored markdown.